Fish Bath Bombs, 5, Individually Wrapped and Sold in Colorful Fishnet Bag. 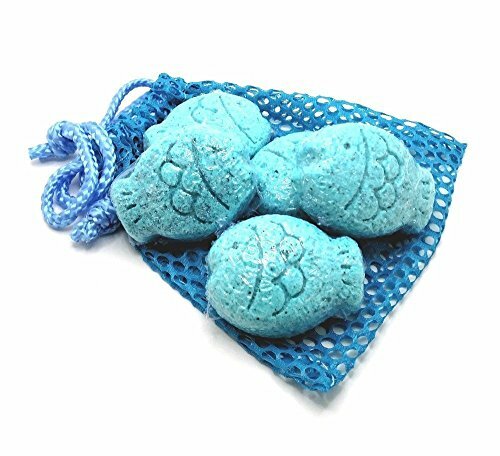 These five fish bath bombs, caught in their very own fishnet bag, are just what you have been looking for. Ready for the perfect gift, ready for the finishing touch on your nautical decor, ready to add to a fun bath, these little fellows are ready for you! These bath bombs provide the classic effects with lovely moisturizing and the soft scent of Lavender. Your fishing trip ends here as you have caught the limit in these adorable little fellows. View More In Bath & Bathing Accessories. If you have any questions about this product by SunberryCreations, contact us by completing and submitting the form below. If you are looking for a specif part number, please include it with your message. By River & Sky Bath Co.